Opening a Spanish language school in a new city is not an easy task. There were several things to consider: do a lot of people in Chicago want to learn Spanish? Will Spanish language students in Chicago prefer our Graf Method over the vocabulary and visual methods commonly used by other language schools? After doing a lot of market research we concluded that Chicagoans would really like us! We leased our current space, 170 W. Washington Street, 3rd Fl., in the Loop, we built it out, and we put together an amazing team of instructors and administrators. 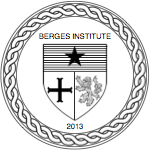 So Berges Institute Chicago is now up and running, it’s staffed by a fantastic team of amazing, passionate teachers and advisors, and our beloved students are taking classes every week. What is it like to attend classes at Berges Chicago? Here is how the process works: first of all, if you are a prospective student, you should take our Online Placement Test (unless you are a beginner), which will help you determine the appropriate level for you. The placement test is usually pretty accurate, but if you need additional help choosing the correct class you can always call us or email us, and one of our advisors will speak with you and try to help you. You can also request an oral assessment over the phone (it’s free, and it’s very helpful for upper intermediate/advanced students; one of our instructors will call you, discuss your background, assess your conversational skills, and give you his or her insight). After you’ve decide what the appropriate level for you is, you can register online or over the phone or email. You’ll then receive a confirmation email, and you’ll be all set! On your first class, the instructor will give you your textbook. You will have homework every week and, on your ninth week, you will have to take a closed-book exam. 1. Review as much as you can! Try to study a little bit every day, it will make a huge difference! 2. Listen to music in Spanish, watch TV in Spanish and, if you can, talk to people in Spanish! 3. When you have to memorize verb conjugations, try to repeat them in your head as often as you can. 4. Don’t be shy! It’s ok to make mistakes when you’re speaking a foreign language! 6. Take lots of classes! In addition to our regular grammar courses (Levels 1 through 5), we offer conversation classes, which are great for practicing what you’ve learned, acquiring new vocabulary, and getting more confident at speaking, which is always the hardest part. 7. Travel to Spanish-speaking countries as often as you can!